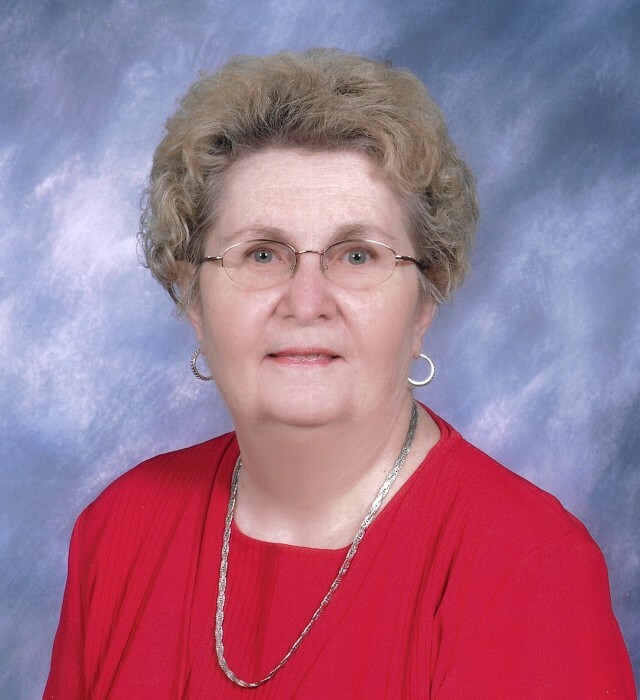 SUZANNE [FANTZ] ENOCHS, AGE 82 OF TORONTO, OHIO PASSED AWAY APRIL 9, 2019 AT COUNTRY CLUB MANOR, STEUBENVILLE, OH. SUZANNE WAS BORN NOVEMBER 29, 1936 IN WAPAKONETA, OHIO THE DAUGHTER OF THE LATE FRED DONALD FANTZ AND MAXINE MAE [SHAW] FANTZ. SUZANNE WAS A MEMBER OF FIRST UNITED METHODIST CHURCH - TORONTO, OHIO. SUZANNE WAS A RETIRED TEACHER – SECRETARIAL STUDIES WHERE SHE HAD WORKED AT WINTERSVILLE, TORONTO, AND JEFFERSON TECHNICAL COLLEGE. SHE WAS A GRADUATE OF OHIO UNIVERSITY ATHENS, OHIO 1958. SHE WAS ALSO A MEMBER OF THE ORDER OF EASTERN STAR LABELLE CHAPTER 414, WHERE SHE WAS WORTHY MATRON 1985, DISTRICT PRESIDENT, AND WORTHY GRAND MATRON. IN ADDITION TO HER PARENTS, SUZANNE WAS PRECEDED IN DEATH BY HER HUSBAND GEORGE F. ENOCHS 1/22/2005 WHOM SHE MARRIED DECEMBER 25, 1957. SUZANNE IS SURVIVED BY HER DAUGHTER MELANIE [VINCE] DRAGOUN OF WINTERSVILLE, OHIO; SON FRED [JENNIFER] ENOCHS OF HOUSTON, TEXAS. SHE ALSO LEAVES BEHIND TWO GRANDCHILDREN MADISON AND JACK ENOCHS OF HOUSTON, TEXAS,; SISTER NANCY PALKE OF SANTA BARBARA, CALIFORNIA,; AND A BELOVED SISTER IN LAW MARILYN MERRILL OF WESTERVILLE, OHIO. VISITATION HOURS FOR SUZANNE WILL BE HELD 10- 12 SATURDAY APRIL 13, 2019 AT THE CLARKE FUNERAL HOME, 302 MAIN STREET TORONTO, OHIO. ORDER OF EASTERN STAR SERVICES WILL BE HELD 11:00 A.M. SATURDAY AT THE FUNERAL HOME. A CELEBRATION OF SUZANNE’S LIFE WILL BE HELD 12:00 P.M. AT THE FUNERAL HOME WITH REV. KEVIN RINKES OFFICIATING. INTERMENT WILL BE HELD AT A LATER DATE AT THE CONVENIENCE OF THE FAMILY.